Why Do We Keep Our Blogs Secret From Our 'Real Worlds'? I have a question. Why do so many of us keep our blogs top secret? We desperately try and promote and grow our following, but we refuse to let anyone we actually know in the real world in. I read a post a couple of weeks ago that just stuck with me, I found it so interesting to hear someone else's thoughts on sharing their blog and realised I'd love to share mine. Sadly after spending a good half an hour trying to find the girl who wrote the post, I can't seem to find it anymore. She wrote about her experience with sharing her blog with people in her - what I like to call "real life". As I've been blogging for nearly three years and started a YouTube channel this year too, I've realised I have a lot of opinions on the matter. I kept my blog top secret from pretty much the majority of people in my 'real life', for probably over two and a half years. Only just the past two months I would say everyone in my life has started to find out. I find it so interesting how most of us keep this part of our lives so secret. We put so much time, work and effort into creating our blogs, hoping, just maybe it may lead to something bigger. We spend the majority of our time trying to grow our following, but yet we refuse to share this part of us to real people, in our real worlds. Are we embarrassed? Are we Ashamed? Sadly I think this may of been the case with me. Although when I think about what I've created and how much work and time I've put into my little space on the internet, I can't help but be a little proud of myself. I'm proud that I've managed to create a space that I'm passionate about. I'm proud that I have hopes and dreams and I'm proud that I've been able to keep my blog/YouTube up, slowly grow my following and work with brands. These are things to be so proud of, so why do most of us keep them secret? I've realised that I kept this secret from most the people in my life for so long because I was kind of embarrassed, I didn't think they would 'get it'. I think I was hoping to be able to tell them some massive success story when I came out about my blog/YouTube. When in fact I think, just creating your blog and putting your all into something for a period of time, is a great success in itself. Only my boyfriend and best friend really knew about my blog until recently. I spend a lot of time working on my blog and it takes up so much of my life I could'nt help it kind of, spilling into my 'real life'. I started to tell a couple friends from work. At first they didn't really get it, but they thought it was pretty cool. It wasn't until I received an amazing blogger package from one of my favourite brands, that I just could'nt keep it a secret from my family anymore. I happened to open it in front of my Dad and didn't really have an explanation for why I was receiving a large case full of makeup, so I spilled the beans. I don't think he really got it at first. He did say something along the lines of 'Oh wow that's great, good for you' kind of thing. Then it wasn't until he spread to my Mum and she told everyone and the blimmin' cat, the fact 'Corrie has a blog and YouTube channel!' It was the top news in the family. I started to get random texts from family members saying great videos etc. I was not ready for this. The thought of people reading my blog was one thing, but watching my newly created YouTube videos was another. I've never been so cringed out in my life! I wasn't confident in the slightest about my channel yet, but there was nothing I could do, it was out there. Now I'm so happy that everyone in my life knows about one of the biggest passions in my life. Blogging and YouTube is my thing and I shouldn't have to hide it. Everyone thinks it's amazing and are completely supportive. My family are proud and that's all you can ever ask for. 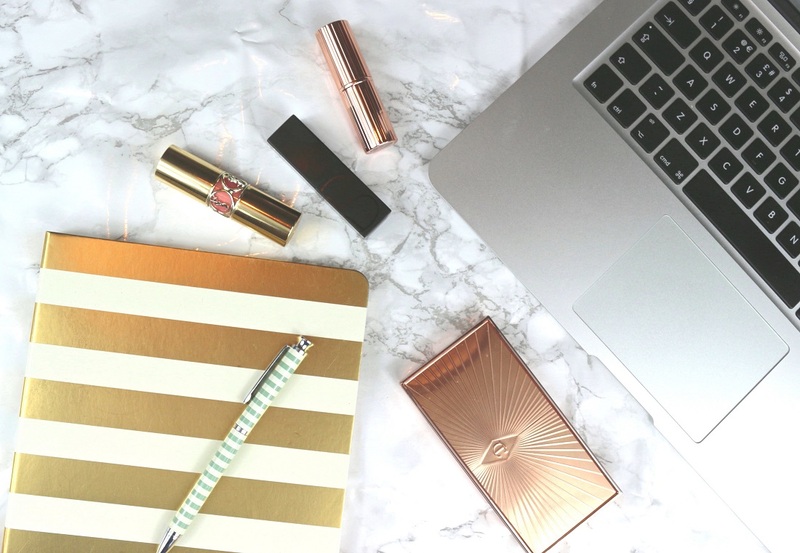 It's easy in this community to feel down about your blog and feel you're stuck in a rut and going nowhere compared to everyone else. Once you share with real people in your real world, they'll be amazed of what little old you can do! If you're keeping your blog secret, then I really hope you can pluck up the courage to share with someone your passion, you'll be surprised about the reaction. Why wouldn't you share your passion with the people you love? Mums are the biggest supporters right? They love to tell everyone! Ah this was such an interesting but lovely post to read, I'm so pleased that you are proud of your blog (you should be!) and your family clearly are too. It really is strange keeping it secret but I definitely kept my somewhat secret for about a year. Now everyone I know knows about it haha, but everyone is SO supportive. I do cringe a little bit when my friend's mums start talking to me about my blog post, but I love it at the same time as I am proud of my corner of the internet! Aww thank you! It's such a good feeling knowing everyone knows! I think sometimes a lot of people believe that the people closest to us will judge us for what we have bee writing so I can totally understand why someone wouldn't say anything! I'm so happy that you have let everyone know, you're doing an incredible job!